July 10th, 1913 reached 134F in California, the hottest shade temperature ever recorded on Earth. That week was also the hottest week ever recorded on Earth. After much data tampering, crack scientists at NASA now tell us that record hot July, 1913 was globally the coldest July in the last 100 years. It makes perfect sense to the temperature fraud community that the hottest week occurred during the coldest month. According to USHCN records, Meeker Oklahoma had their hottest August on record in 1913, five degrees hotter than 2011. 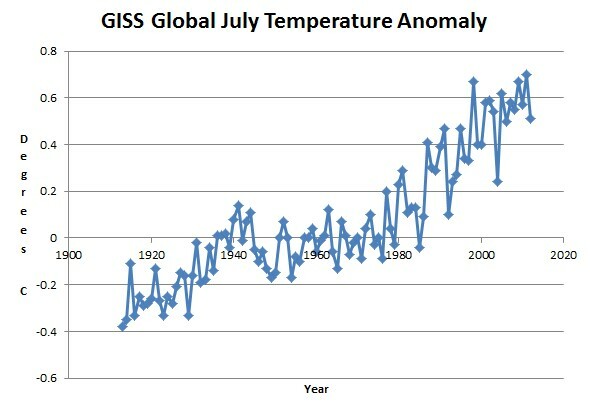 As you would expect, the GISS data tampering experts show that record hot August, 1913 was globally the coldest August in the last 100 years – despite the all-time record heat. 1913 was also the year when the impossibly brilliant father of global warming predicted that we would be farming Greenland and Antarctica. 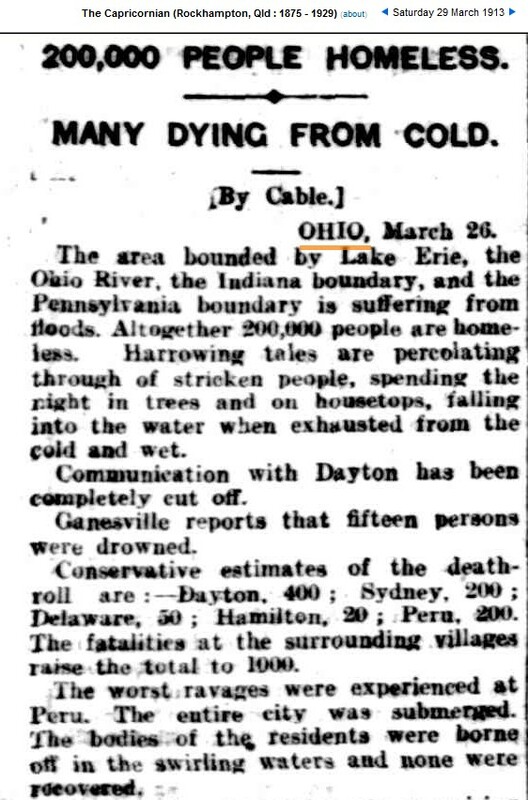 Despite all the all-time record heat and safe CO2 levels during the official NASA coldest year of the century, thousands of people drowned in floods in the US. James Hansen also tells us that very hot weather is almost impossible with CO2 below 350 ppm. Funny how the alarmists take Arrhenius seriously, with his ridiculous predictions like this, still found in back and white. But then failures have always been the foundation of CAGW. The record breaking (not) heatwave this year was 5 or 6 degrees below the record…so does that mean it is 5 or 6 degrees colder now than 1913? Or if, like an Alarmist, you go by the anomaly, then it is now several orders of magnitude colder than 1913!